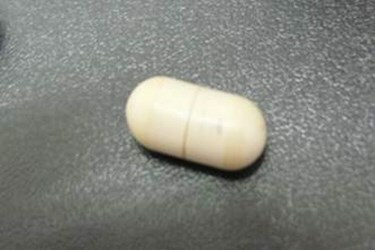 Patients may soon swallow a vibrating capsule instead of taking laxatives to treat constipation. This new approach is being offered by several institutions participating in a nationwide clinical trial. Designed by a company called Vibrant Ltd., the capsule mechanically stimulates the bowel by vibrating inside the large intestine, which could lead to bowel movements in situations when laxatives are ineffective. "Chronic constipation is a very common problem in the United States, and many people do not get good relief with current treatments available," Dr. Ron Schey, associate professor of medicine at Temple University School of Medicine — one of the trial sites for the Vibrant capsule — said in a press release. "Although their symptoms may be alleviated somewhat with the use of laxatives, they may still feel that they need some more treatment or that they would like to explore other options." The Vibrant capsule is a motorized device that is drug or chemical free (to minimize side effects. The capsule swallowed and travels through the patient’s gastrointestinal tract. When it reaches the patient’s large intestine — usually about 6 to 8 hours after ingestion — the device is switched on wirelessly via a separate base unit. The vibrations from the capsule have been shown to stimulate contractions in the muscles of the large intestine, thus creating spontaneous bowel movements, according to the Vibrant website. The Vibrant clinical trial is a randomized, double-blind investigation to determine if the capsule can alleviate chronic constipation, according to the Temple release. Certain criteria must be met by patients enrolling in the study, but once admitted they will be divided into two groups, one of which will receive a placebo. The study will last about 12 weeks, including a two-week preparation period before treatment and a two-week follow up period after. Patients will be required to keep a journal in order to record bowel movement frequency and completeness. Additionally, evaluations by the patient about straining or abdominal pain will be collected. Study endpoints center around whether the capsule leads to an increase in spontaneous bowel movements and a reduction of symptoms. Using a capsule to access the gastrointestinal tract is an approach that has been used in other medical applications. For example, last year Olympus was awarded a 510(k) for its Endocapsule 10 system for endoscopic examinations.